Thank you for your donation. 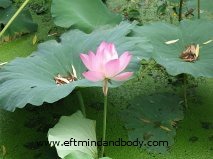 It helps me to support you with these EFT articles. Welcome to our EFT MindandBody Community. EFT Exercises to clear your limiting beliefs and negative emotions that are blocking you from the money you deserve. What is blocking you from living a life filled with joy, love and complete confidence in yourself? And they don’t allow you to experience, happiness ,love, success, inner peace, unconditional love for yourself and abundance. I am Edith Howell, EFT MindandBody Coach, Certified by Gary Craig the Founder of EFT, Emotional Freedom Techniques and I am dedicated to empowering you to live your best life. My EFT MindandBody transformational sessions are completely customized to fit your own personal needs, your inner child, specific events and unresolved issues and trauma in your life. I go deep and help you identify, acknowledge, address and eliminate the underlying causes hidden behind your problems. And this is where healing and transformation really starts! If you would like to receive my “EFT MindandBody Newsletter” filled with EFT tips, energetic solutions and practical suggestions to improve your life, sign up at the top right side. EFT MindandBody Coach, Certified by Gary Craig, the creator of EFT, Emotional Freedom Techniques. EFT Tapping Therapy.